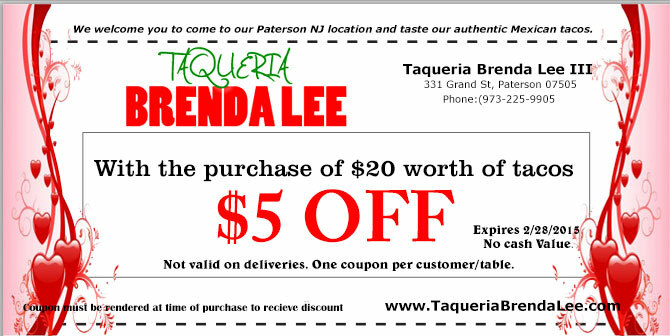 Click on image above to view a printer friendly coupon that you may cut out and bring with you to Taqueria Brenda Lee's. Now till spring time, when your purchase is $20 or more you'll be treated to El Paleton's All Natural Fruit Bars. Be sure to mention this special when you visit Taqueria Brenda Lee. Take advantage of this special offer!Buy 2 orders of Tacos and Get 1 FREE!! 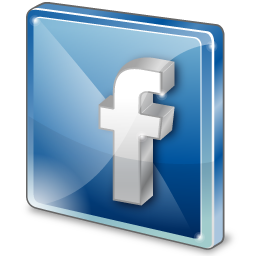 Expires - 12/26/2013. Beverages and side orders not included. Our experienced staff will make you the best tacos you've ever tasted!